"At last, I finally got to see him"
I love the Leas Cliff venue so I knew the viewing would be great. It's a wide but shallow venue so you get a brilliant view wherever you are. Never been disappointed by the venue. Then comes Mr Weller. Wow! Over 2 hours of fantastic music and he never waned once. This was a present for my partner so it was truly wonderful Paul played Man In The Corner Shop which is my partner's favourite of the Jam tracks. Paul and his band performed a great mixture of old and very new - one track which isn't even out in any form. A track from an up coming film was so good too. "The is mod is still modern"
Well, this was my first time of seeing Paul Weller live in concert , and he did,nt disappoint and really delivered a good value for money show and performance . It,s great to see that Mr Weller still has a appetite and enthusiasm to still gig and play at smaller venues like Folkestone last night . He played initially for 90 minutes playing new songs from his soon the be released new cd , along with Welller standards like Wildwood and You do something to me , which brought the house down ! After a brief break , Weller and his brilliant band came back for 2 encores , the first was an acoustic set of 5 songs of new an old songs and then he returned again for a 2nd encore . Boy does he give his fans wanting more , giving excellent value for money . So , thanks Paul for a great night out that did,nt disappoint ! One final observation , is that Mr Weller dropped quite a few songs into the set that are currently new to his fans , as the new cd is not out yet , I think was a brave decision to play these songs when diehard fans might be expecting to hear his classic tracks . On a lighter note , Paul fluffed the lyric to one of his songs , so as the professional that he is , he stopped the band , apologised forgetting the first line of the song , then seamlessly started again like nothing happened. We all applauded his honesty of this situation but laughed with him at it . As an musician and entertainer of 40 years , on last nights performance , it gives me great pleasure to say that Paul Weller looks to be enjoyed playing live and is still very much relevant and also contemporary ...... Long may that remain ! I will without doubt go and see him again next time he is on tour . Thanks Paul ! Great set list, great performance. You could tell straightaway that he was really putting on a top show. The original ‘Mod-father’ is back with his new album True Meanings. One of the most influential singer-songwriters of his generation, Paul Weller’s mellowed a little with age and that aggressive, guttural lyrical style that fired out a volley of hits throughout the Punk era with The Jam, has (dare we say it?) softened a little. He has developed a more rounded and complex musical style, with occasional flashes of that old energy that fuelled an entire generation of angry young men (and women). The result is that you never quite know what to expect with Paul Weller - yes, there are the moments of quiet reflection and introspection, but that brash, in-your-face vibrancy of his early career is never that far from the surface. Showing off his never diminishing prolific abilities, Weller has announced that he will be releasing his brand-new album True Meanings later this year. It comes hot on the heels of his critically acclaimed LP A Kind Of Revolution which was brought out in 2017. 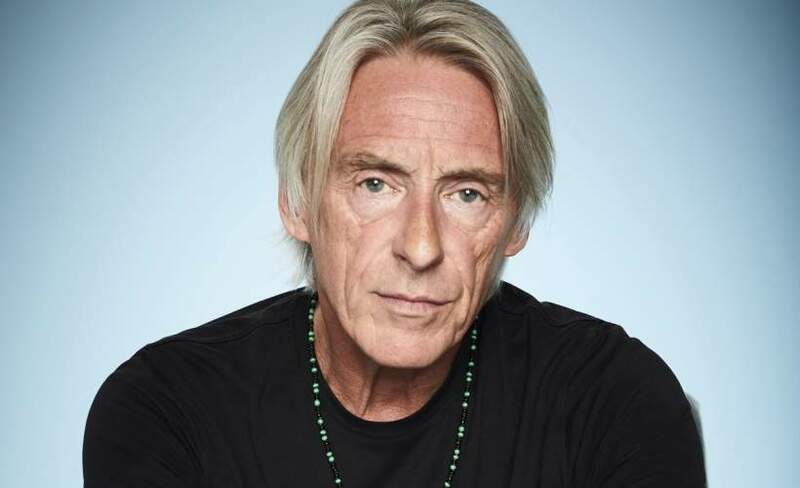 Weller now announces a major tour for the new year. Make sure you catch the Modfather when he plays at Westonbirt Arboretum in Gloucestershire, Bedgebury Pinetum & Forest in Kent, Thetford Forest in Suffolk, Dalby Forest in Pickering and Sherwood Pines Forest Park during June and Cannock Chase Forest in July 2019. Paul Weller tour dates sell out quickly, so if you want to discover which direction his musical wanderings are taking now, check out the availability of Paul Weller concert tickets here at Gigantic. Rousing, ever popular and with a back catalogue that most musicians would kill for, Weller shows no sign of hanging up his Fred Perry tops and winklepickers and is powering on with a new selection of songs, complemented by some old classics. Will you hear ‘Down in the Tube Station at Midnight’ if you buy Paul Weller tickets from Gigantic? Maybe, but don’t be surprised if he puts a unique and previously unheard spin on it just for kicks. Paul Weller gig tickets are expected to sell out quickly so set a personal reminder with Gigantic right now to arrive to you via email or text message so you are ready for their release at 09:00 on Friday 9th of November.